Turkey legs. 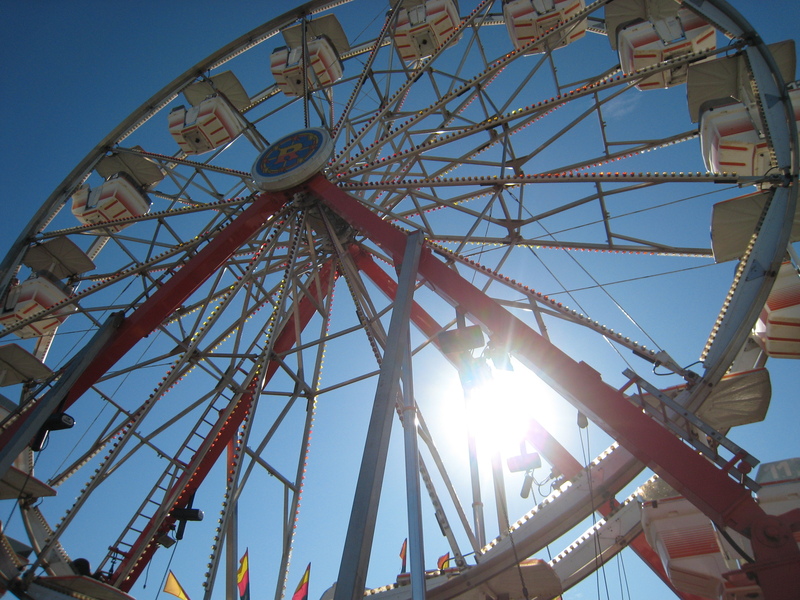 You’ll see it is a recurring theme in any of our posts that include our travels to fairs, festivals or theme parks. Food is always a large part of going to a gathering but beyond gobbling up the smoked poultry, my favorite is without a doubt – the funnel cakes. One of these days I will come up with a low carb, sugar free option for diabetics like me, but until then I’ll just have to drool! Never forgetting his roots as a Photographer – Joe of course was snapping photos at every turn. My favorite part of the entire day was the 500lb black bear that seemed as cuddly as our dog at home. The Pensacola Interstate Fair was definitely the largest festival I have ever attended and in one corner they had a “frontier show” with all kinds of wild animals and colonial themed experiences including milking a cow – GAG! Bleh! Rides of all kinds, extremely high calorie snack and eclectic vendors were abundant. We actually snagged a great deal on some rings for both of us and a great stainless steel bracelet for Joe at extremely reasonable prices. Several exhibits were also available including a fantastic display of local photographer work and submissions with awards. Next year we’ll be sure to enter Joe’s Destin Photography and see how we measure up. I have no doubt he’ll have a very respectable showing. We missed Billy Currington’s concert – but next year we’ll plan better and make sure to go later in the day so that we can hold out for the tunes in the evening.